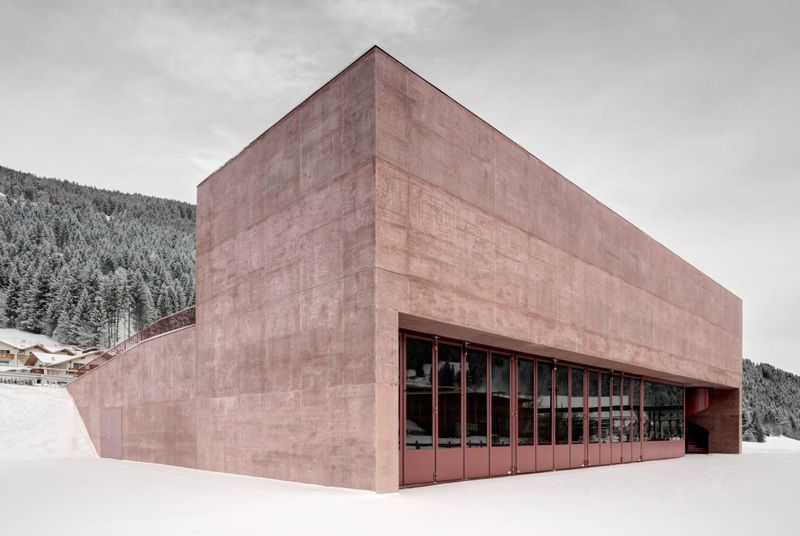 Rose-Tinted Concrete Fire Station by Pedevilla Architects. 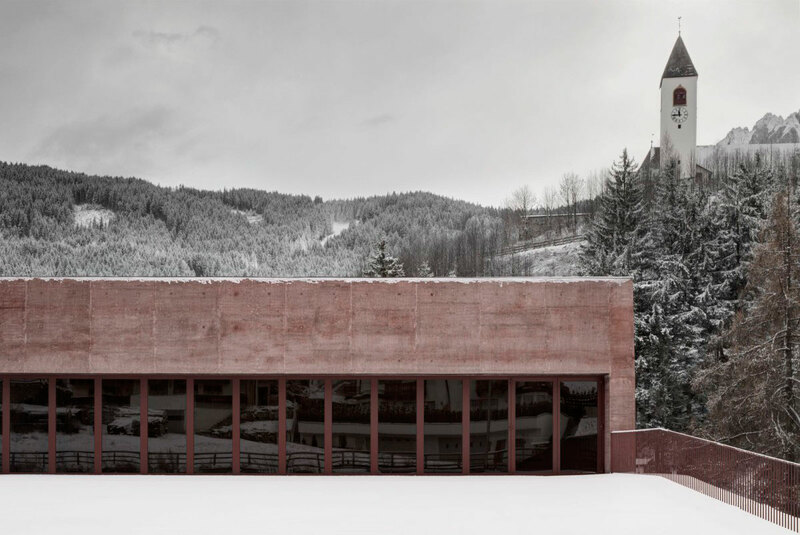 Giving the term ‘fire engine red’ a delightfully tonal and refined new meaning, this minimal structure, designed by , serves as the local fire station for the town of West Tyrol in the Austrian Alps. 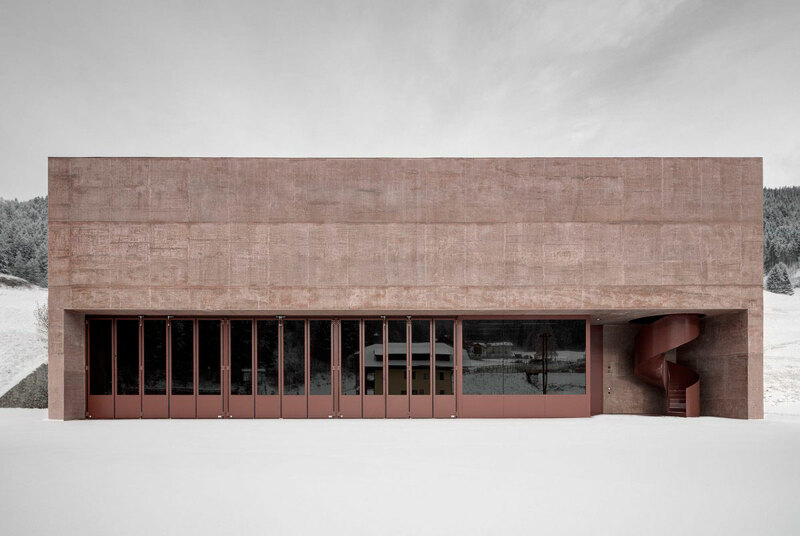 Sitting 1,130 meters above sea level, the structure is built with a lightweight rose-tinted concrete, which just may happen to be our new favourite material – sturdy, subtly simple and oh-so-beautifully textured. 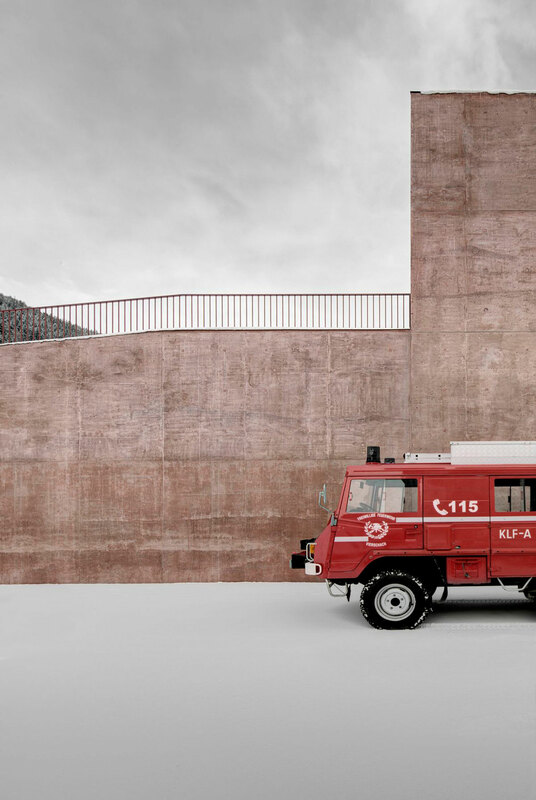 The designers sought to create a building that, like a fire truck, is ‘striking, heavy, functional and obvious’. 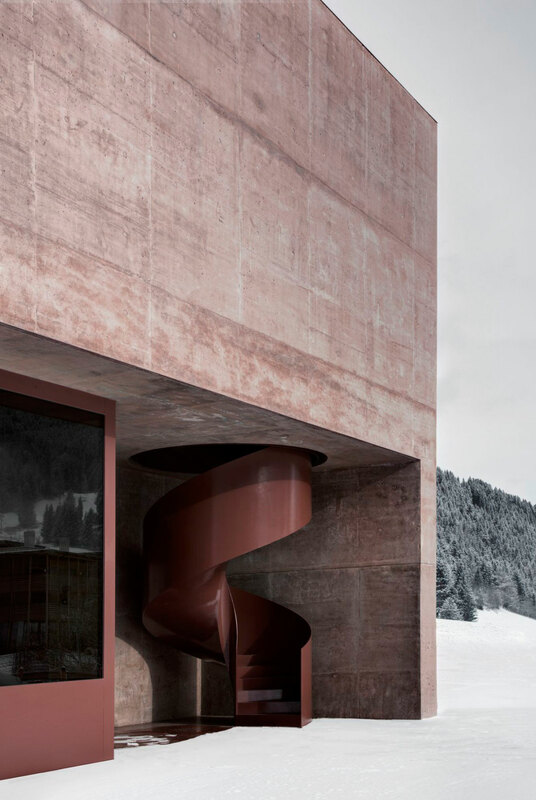 Details in glossy maroon powder-coated steel contrast magically against the textured concrete, in particular the spiral staircase feature and framed windows. 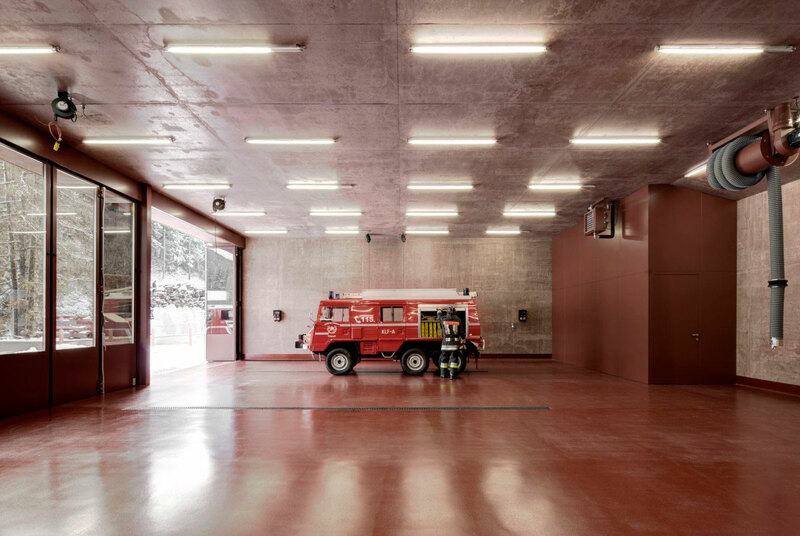 Pedevilla Architects looked deeper into the unique domestic nature of fire stations, which technically offer a home to workers until emergency calls. This inspired the familial and welcoming warmth of the interior, which features timber cladding on all surfaces using native Loden wood and stone pine. Big thumbs up from us. New Flexform Mood Showroom Opening at Fanuli.